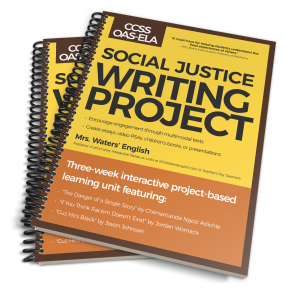 Do you need an interactive, student-centered project that will encourage social justice activism, group collaboration, and online research and writing? 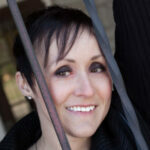 Go beyond just reading dusty tomes written by dead people and regurgitating boring details. Delve into highly-engaging spoken-word poetry, music videos, TED Talks, an essay written by a 17-year-old Oklahoma author — and follow them up with highly engaging student discussions. This unit contains everything you need to guide students through reading and viewing modern literature covering social justice topics, responding to daily essential questions, planning and writing a culminating essay, video, presentation, or children’s book that encourages students to tell their stories and take a stand for others. 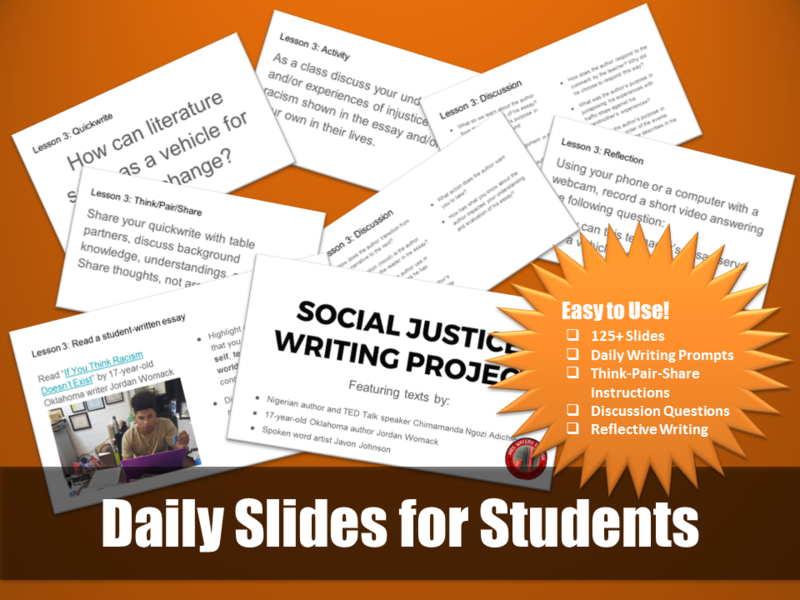 Daily Presentations: A complete set of slides for each day, including a writing prompt, think/pair/share activity, discussion questions, reading and writing activities, and closing reflective prompts. Teacher’s Guide: The next three weeks have already been planned for you, complete with a daily chart showing exactly what you’ll do and which standards it’s aligned to. Just print out the page and hand it to your principal, or keep it on your desk for easy reference. 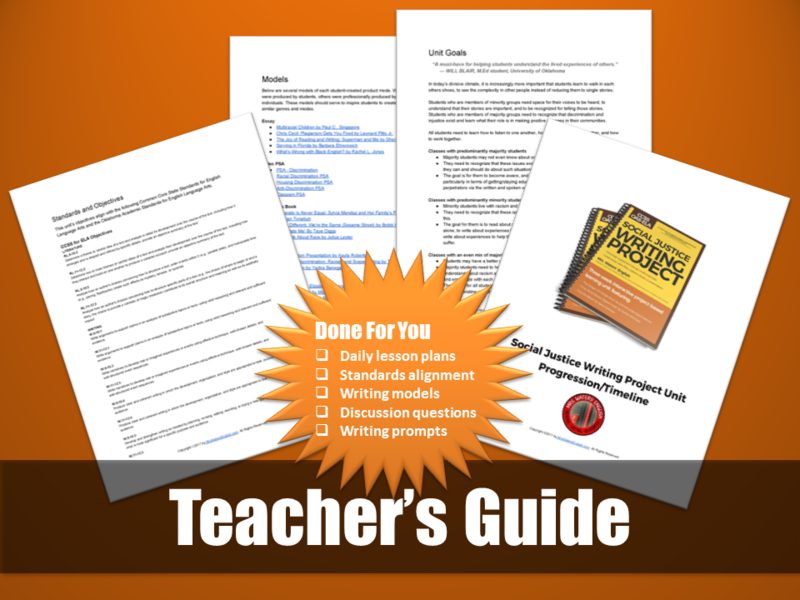 Includes daily task list, daily writing prompt for bellwork, discussion topics, activity notes for each day, and reflective writing or discussion prompts for closure. BONUS! Recommended Online Resources: You’ll receive a list of nonfiction articles, and a relevant graphic, video and poem. Students can refer to each of these resources in the culminating projects. Self/Peer Revision and Editing Checklists: Get your English loving students on board with peer reviewing! These easy-to-fill-out forms encourage constructive criticism. 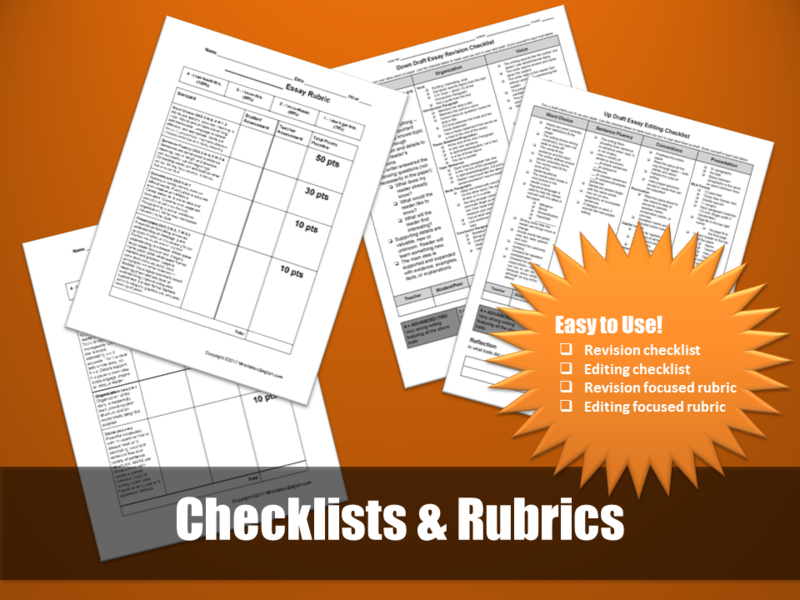 Revision Rubrics: Judge the early drafts of an essay or project based on the ideas, organization, and voice. Don’t let your students think they can’t tell a story just because they struggle with spelling. Show students what you’re looking for in their final projects so they can meet and exceed your expectations! Editing Rubrics: Once students have told their stories, help them clean up the grammar, usage, and mechanics with the editing rubric. Be sure to give students multiple opportunities to complete their best work. NEW! 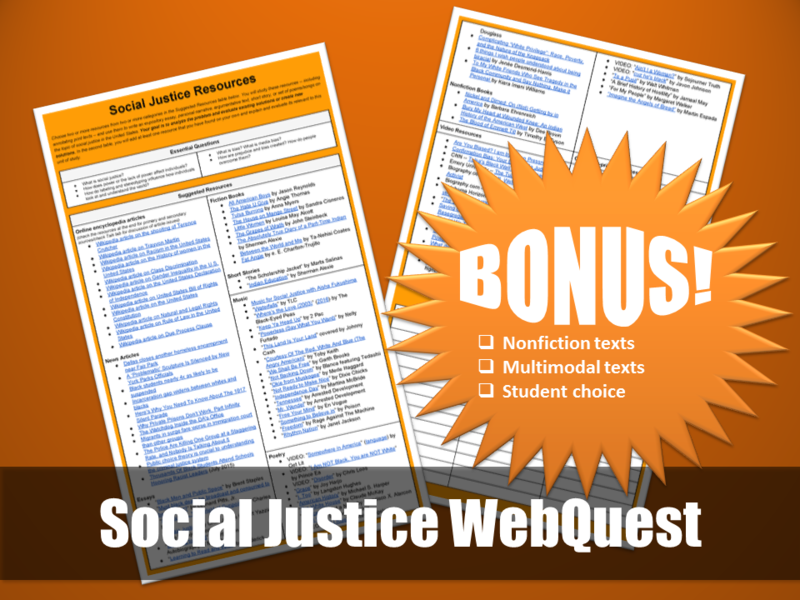 Ongoing Social Justice Email Updates: We’ll send emails with links to articles, essays, and other media updating you on social justice issues that you can share with your students. The emails will also include essential questions that you can use to spark a class discussion, incorporate into a writing project, or use to inspire a service learning project. that will keep your students learning for three solid weeks? September 27: I teach young men who are incarcerated. They are middle and high school students and aren’t typically good students or careful writers. We started the unit two weeks ago, and we’ve had some amazing conversations. The boys are sharing personal stories and being much more mindful about how they interact with each other. The writing is a bit of a struggle for them but they are doing it and enjoying the opportunity to share their thoughts. A national organization that works with students and teachers in alternative settings are sponsoring a song writing contest next month dealing with social justice as the topic of the songs. It couldn’t have come at a better time. My students are combining lessons from that program and the writings and discussions from the social justice project to really get an in-depth look at the issues. Thanks so much for what you do. Update February 24: We are currently reading a book called Bronx Masquerade by Nikki Grimes. My reluctant writers are writing poetry every day and still including topics we discussed months ago during our Social Justice unit in their writing. I couldn’t be happier with the unit or with the chance to share our story. Would you like to try one lesson from the Social Justice Writing Project first? Join our mailing list, and we’ll send you one free lesson from the unit, along with a short series of emails to help you make use of the unit. Just enter your name and email address below.